Cooper is located 9 miles north of Leadville and is celebrating its 75th Anniversary this season. It has soft all-natural snow and views of Colorado’s highest peaks, Mt. Elbert & Mt. Massive. The terrain includes cruisers, glades, bumps and powder across 39 runs. The base elevation is 10,500 ft with a 1200 ft vertical drop. 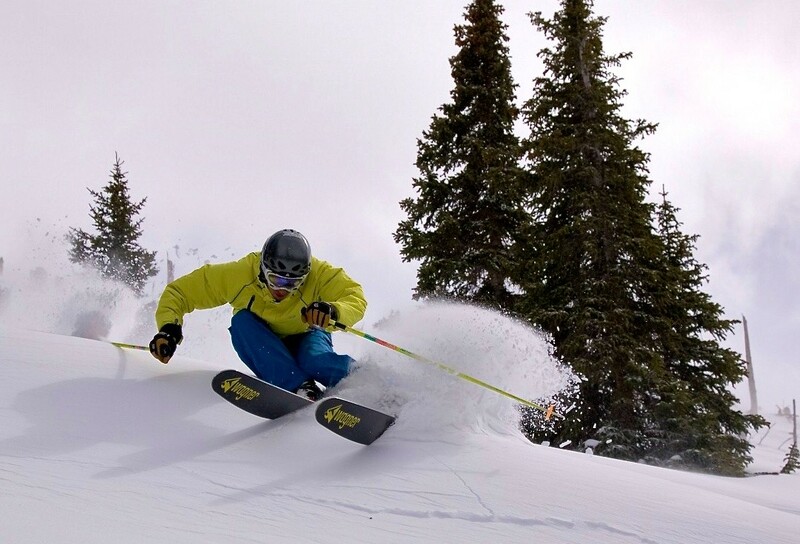 Snowcat skiing access on Chicago Ridge includes 2600 acres of powder, bowls and timber skiing. Restaurants include Katie O’Rourke’s Irish Pub, a Mountaintop Yurt and the cafeteria. Ski school offers programs for group and private "Learn to Ski" classes; Panda program. Ski rental and repair available on site. Restaurants, child care program for ages 2-7 years old. First aid at area, hospital in town.